OKLAHOMA CITY – Members of the Oklahoma Senate on Tuesday voted Senator Greg Treat as president pro tempore, the chamber’s top leadership post. Treat previously served as the majority floor leader, the Senate’s second-highest leadership office, and was selected by Senate Republicans last year as their choice to lead the Senate. On Tuesday during organizational day, the entire Senate made it official and voted to name Treat as the Senate leader. “I am humbled and honored to serve as the leader of the Oklahoma Senate. I very much appreciate my colleagues for their trust in my leadership and look forward to the challenge ahead. I also want to thank my wife and children. Without their love and support, I would not be able to serve in the Senate,” said Treat, R-Oklahoma City. Treat lives in Oklahoma City with his wife Maressa and their three children: Mason, Cooper, and Olivia. The Treat family attends Frontline Church. 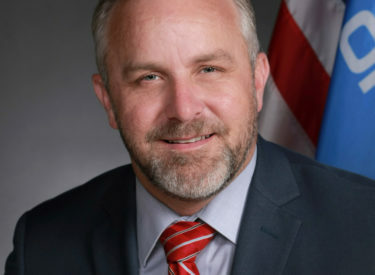 He was elected in a 2011 special election to represent District 47, which encompasses northwest Oklahoma City and portions of Edmond, Deer Creek, and Bethany. Treat serves on the executive committees of both the National Conference of State Legislatures and the Southern Legislative Conference.